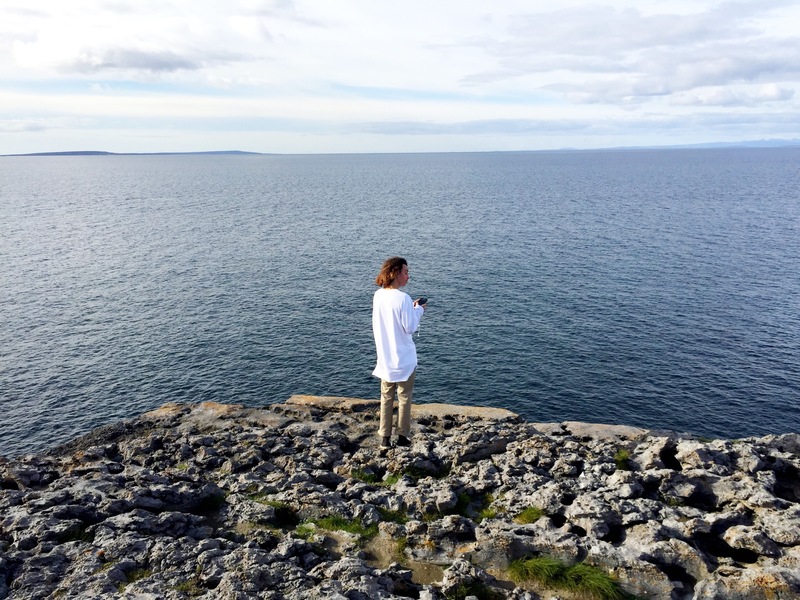 Thank you Ireland for yet another adventure, this time through a land of rocks called The Burren. I felt like a child again, climbing up and over these giant natural beauties. To those unaware, this is a gigantic piece of Irish land almost completely covered by rock. 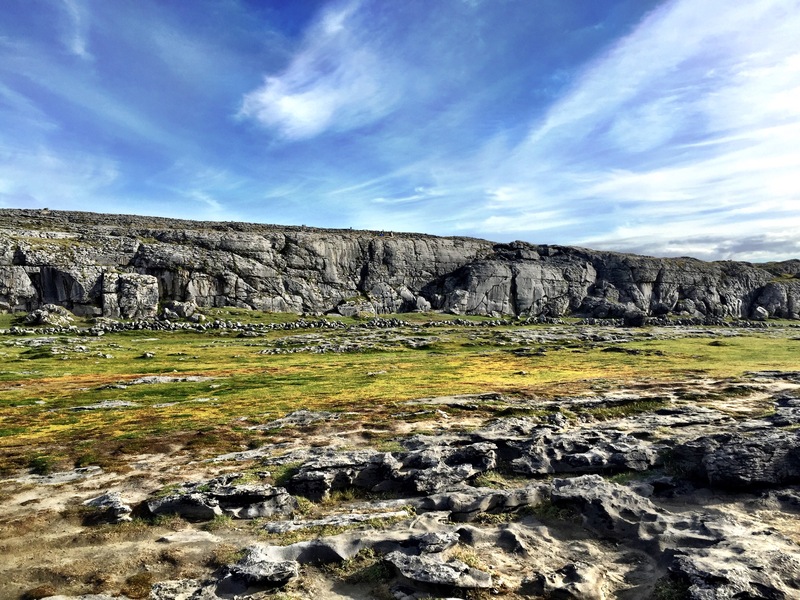 The word “Burren” comes from an Irish word “Boíreann” meaning a rocky place. This is an extremely appropriate name when you consider the lack of soil cover and the extent of exposed Limestone Pavement. 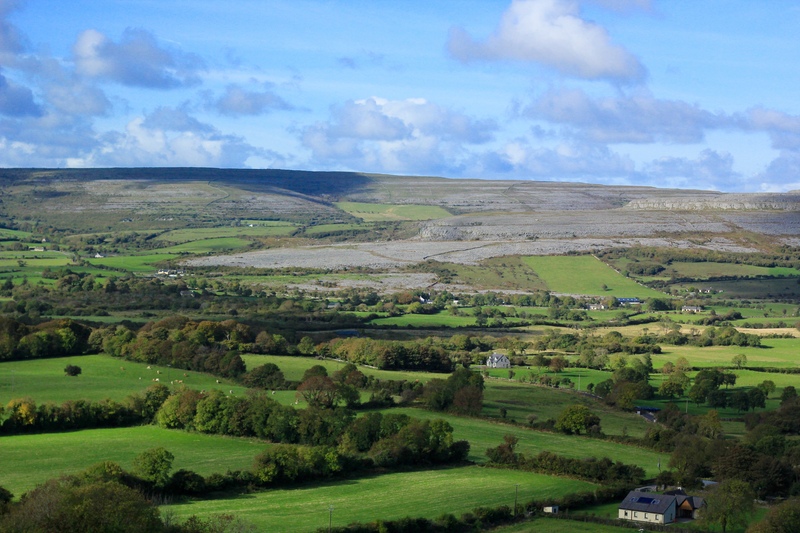 The Burren covers 1% of the land surface of Ireland and is approximately 250 square kilometres in size. Can you see the natural rock coverage in the far distance? In a lot of the pictures, you’ll notice lots of winding and twisting walls made of stacked stones. Have you heard the story about them? 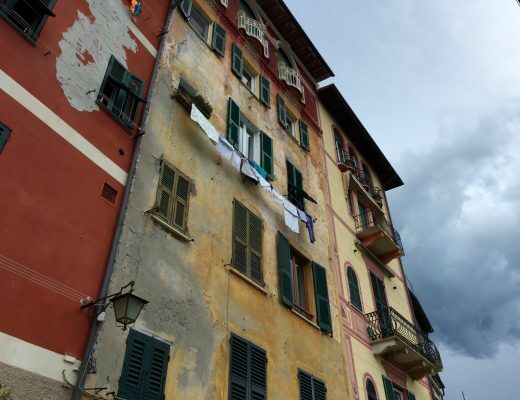 To the untrained eye, it just looks like a cute way to divide property, doesn’t it? Well there are two reasons for these walls. First of all, they are piled and stacked without mortar, meaning it’s susceptible to falling apart. Take a closer look and the entire construction is filled with gaps. 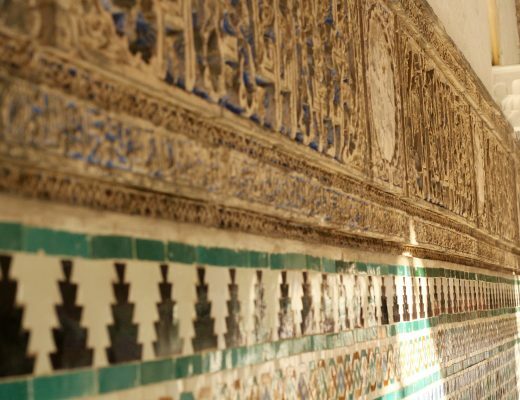 Paradoxically, although they aren’t solid, a lot of livestock in the area has learned that if they go near the walls, they can injure themselves as the wall is likely to break. So that keeps them well within the boundaries. Making my way up the rocks. The second reason you may be seeing these walls in this area of Ireland is because they were made during the famine. 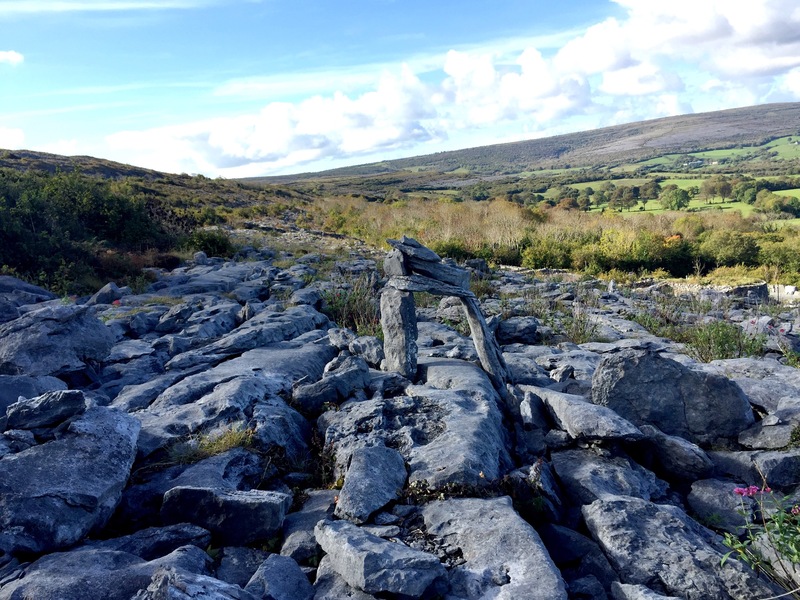 In the Burren in Co Clare people often comment on long stone walls which run from the bottom to the stony top of a mountain and appear to divide nothing from nothing. 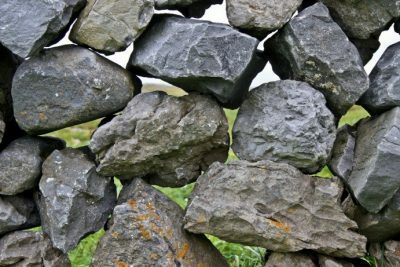 They are known as ‘famine walls’ and were created by men employed on Work Schemes – usually run by church groups or by landlords – whose main purpose was to create employment for and provide income to the impoverished, often starving, local communities at the time of the potato famine. 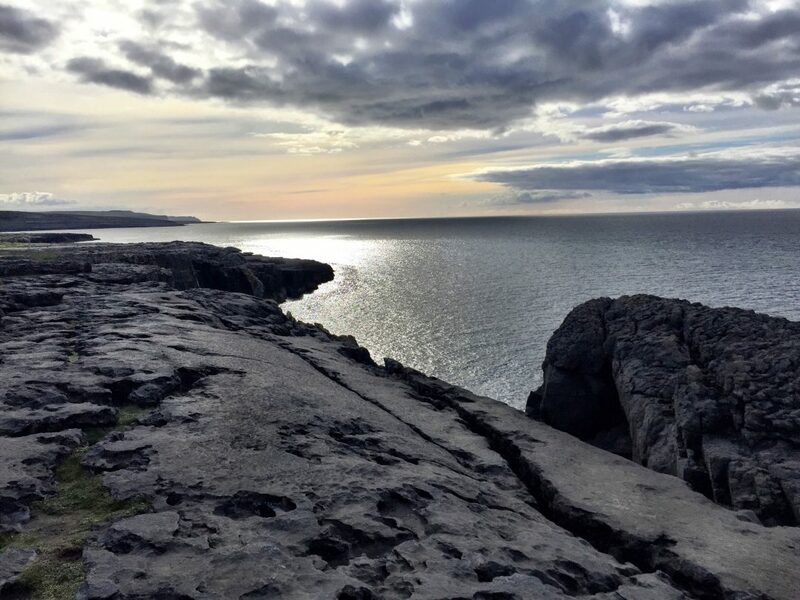 See Galway Bay in the distance? And the stone walls? 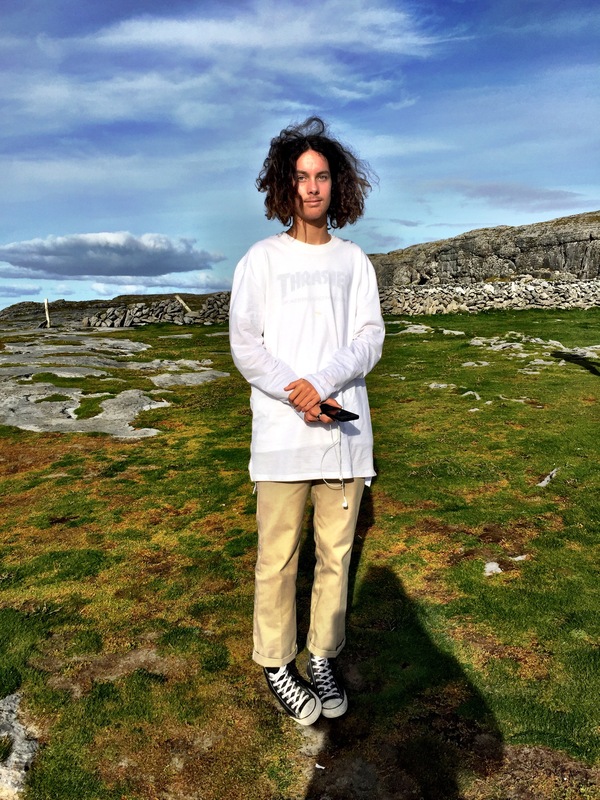 As you can see from the pictures, this part of Ireland was completely and utterly covered in stone. Not very good for farming as you can imagine. My tour guide told me that these walls didn’t pay very well. A lot of people who removed the stone from the ground and built the walls, would work from dawn till dusk for nothing more than a bowl of soup. Tough times. Putting that bit of sad news to the side, look at the beautiful clear blue skies we had! Who said Ireland had terrible weather? 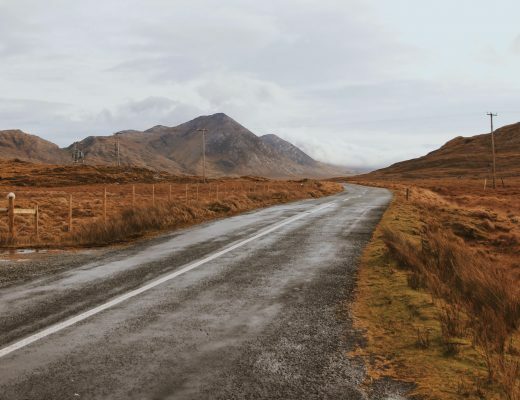 A definite must see if you’re in Galway! 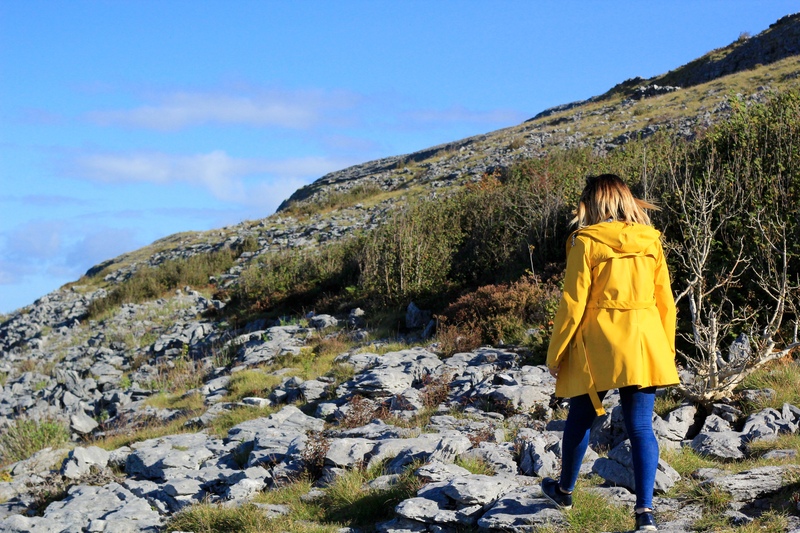 I had a great time at the Burren – so much that it’s my site’s featured photo.